This Andover home discovered extensive mold growth in their home, thanks to a broken pipe that went undetected. SERVPRO of The Andovers worked around the clock to remediate the problem, so that business could be restored as quickly and seamlessly as possible. 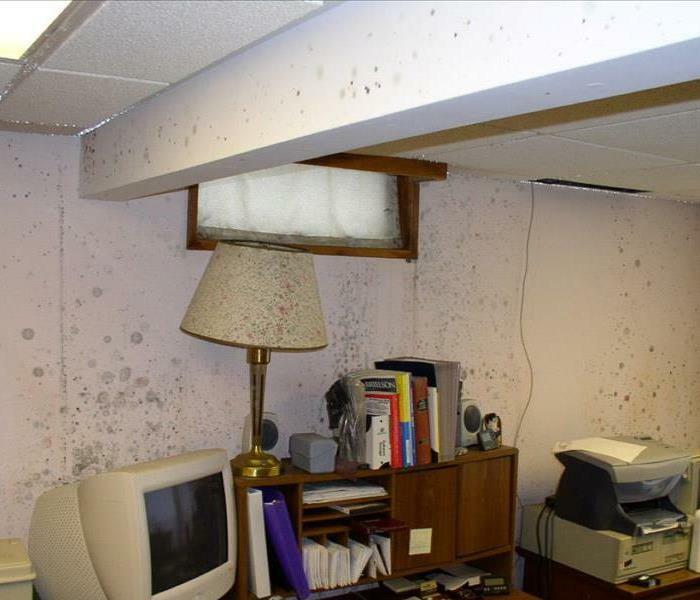 We know that commercial mold infestations can cost a business thousands of dollars in productivity; it is always our goal to get you back up and running right away. SERVPRO of The Andovers specializes in mold cleanup and restoration, in fact, it’s a cornerstone of our business. Our crews are highly trained restoration professionals that use specialized equipment and techniques to properly remediate your mold problem quickly and safely. While there is no guarantee that your home will be 100% safe from the melting snow, you can take preventative measures to help lessen the stress. After a long winter, spring can be such a welcomed sight for sore eyes. Luckily in New England we didn’t have as stormy a winter as years past. Spring however is not always all rainbows and butterflies. Rising temperatures and a frozen ground can leave melting snow and water with no place to go… or maybe it relocates into your home. Here are 3 tips to help prevent the melting snow from entering your home. Move snow away from your house. This may seem like a lot of work, but as the snow melts near your foundation, the only place it might have to go, is into your home. Check your gutters and downspouts. If you happened to forgo cleaning the leaves from your gutters this past fall, you might want to take a look on a nice spring day. Leaves and branches can keep water trapped in your gutters leaving melting snow nowhere to go other than into your attic, walls, or foundation. Check your foundation. Speaking of foundation… look around and mend small cracks to help prevent the water from penetrating into your home and possibly causing a much bigger issue. If you do happen to find larger cracks that you are unable to repair, you may want to consider reaching out to a professional. While the cold weather is still here, many use their fireplaces to take out the chill. It is very important to follow fireplace safety, and these 8 tips will help guide you. Have your fireplace cleaned and inspected by a professional. There could be soot build up, cracks, or loose bricks. Check your fire and carbon monoxide detectors to help avoid fire and smoke damage. It is a good practice to replace the batteries every spring and fall when we change the clocks. Ensure your chimney is capped. This keeps rain, birds, squirrels and debris from entering. Use kindling to start the fire instead of flammable liquids. Also be sure to burn well-seasoned wood. Don’t overload your fireplace. A fire that is too hot can crack your chimney, and could get out of control very quickly. Use a spark guard to keep any ambers from shooting out damaging your floor and possibly igniting a fire. Have a metal container nearby to remove and store hot ash. These ambers can stay hot for a while so be sure to keep it a safe distance outside away from your home. Even if you had your chimney inspected, look for signs of creosote and soot buildup. Creosote is a dark substance that can build up if wood isn’t burning completely. No need to get the chills this winter! By following these simple tips, you can help keep your family safe until warmer temperatures return. In need of a cleaning from the soot or have a fire? Call SERVPRO of The Andovers to help make it "Like it never even happened." Returning to "Before the Fire"
No matter where the fire starts, if your home is nearby, it can be affected by the soot or smoke. A fire can occur anywhere, at any time-in fact, in 2014, wildfire occurrences alone were recorded in all 50 states. What is a wildfire? It is an unplanned, unwanted fire burning in a natural area, such as a forest, grassland, or prairie. A wildfire can destroy homes, businesses, agriculture, and damage natural resources while threatening the safety of the public and the firefighters who protect our forests and communities. Wildfires can occur at any time throughout the year, but the potential is always higher during periods with little or no rainfall, which make brush, grass, and trees dry and burn more easily. They also can be started off a smaller fire in a home or out in the open. High winds can also contribute to spreading the fire. Clear leaves and other debris from gutters, eaves, porches and decks. Remove dead vegetation from under your deck and within 10 feet of the house. This prevents embers from igniting your home. Remove anything stored underneath decks or porches. Screen or box-in areas below patios and decks with wire mesh to prevent debris from accumulating. Ensure flammable materials (firewood stacks, propane tanks, dry vegetation) are more than 30 feet from your home or business's foundation and outbuildings. Wildfire can spread to tree tops. If you have trees on your property, prune so the lowest branches are 6 to 10 feet from the ground. When there's a water intrusion, like a roof leak or leaking water line, mold can quickly become a problem in your home or business. Mold can cause health effects and can also cause significant damage to your property. Fortunately, your SERVPRO® of The Andovers has the training, protective gear, and specialized equipment necessary to handle your mold problem. 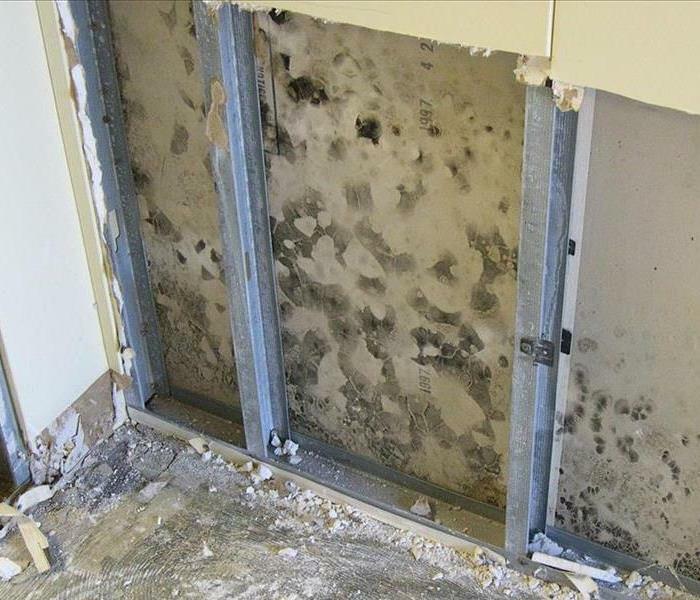 Although every mold damage scenario is different requiring a unique solution, the general mold remediation process stays the same. The following steps illustrate a "typical" mold removal process. Call 978-475-1199 for help with your mold remediation needs. The mold cleanup and restoration process begins when you call SERVPRO of The Andovers. A representative will ask a series of questions to help determine the necessary equipment, resources, and personnel needed. Antifungal and antimicrobial treatments will be used to eliminate mold colonies and help prevent new colonies from forming. Removing Mold and Mold-Infested Materials The mold remediation process depends on the amount of mold growth and the types of surfaces on which the mold appears. With this in mind, it is also difficult to price over the phone, as all homes are different. Antifungal and antimicrobial treatments will be used to eliminate mold colonies and help prevent new colonies from forming. Removing and disposing of mold-infested porous materials, like drywall and flooring, may be necessary to remediate heavy mold growth. 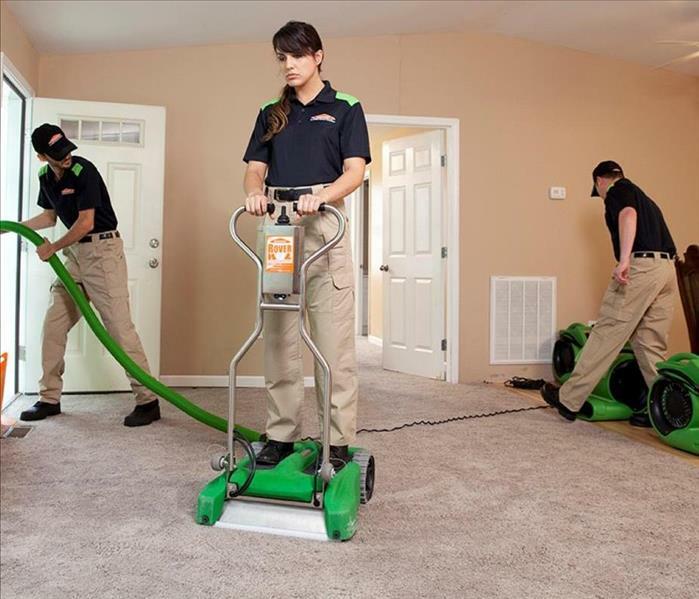 Cleaning Contents and Belongings SERVPRO® Franchise Professionals clean your furniture, decorative items, curtains, and other restorable items affected by mold. They use a variety of cleaning techniques to clean and sanitize your belongings. They are also trained to remove odors and deodorization using fogging equipment. SERVPRO of The Andovers understands mold and mold growth and have the training and equipment to remediate mold in your home or business. Many homes in the northern US know what an ice dam is and the damages that they can do to the home. What is an ice dam? According to Bob Vila it is "These are thick accumulations of ice that form over the eaves of a house. Water then collects behind the dam and gradually works its way beneath roof shingles through a cycle of freezing and thawing." Bob Vila's website goes on to state: "Ice dams are preventable. If new roofing is being added at your home, make sure that proper precautions are being taken." But then there are times that the damage does occur. When it does, have your roof cleared, and then call (978) 475-1199 SERVPRO® of The Andovers to inspect your home and make it "Like it never even happened." In order to stay safe, please follow these and other safety tips for your home. Some storms can be beautiful to watch but also very dangerous to your home and office. In order to stay safe, please follow these and other safety tips for your home. Keep you and your family safe through a storm. When in doubt, stay away from anything that may look suspicious. Also, call SERVPRO of The Andovers, 978-475-1199, to help make your home "Like it never even happened." Our staff is highly trained in property damage restoration. SERVPRO of The Andovers is available 24 hours a day for water emergencies, large or small. When you are dealing with water damage, immediate action is crucial. A delay of just a few hours can greatly increase the severity of the water damage. We understand that when you call us, you may be feeling confused, stressed, and vulnerable. You need an expert to guide you through this crisis. 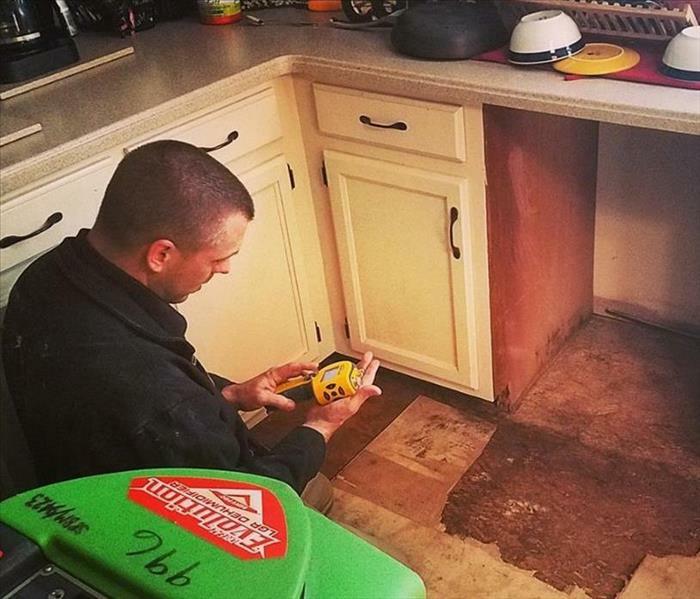 SERVPRO of The Andovers has the specific water damage training and experience to help you through this tough time. We specialize in water damage restoration—in fact, it's the cornerstone of our business. 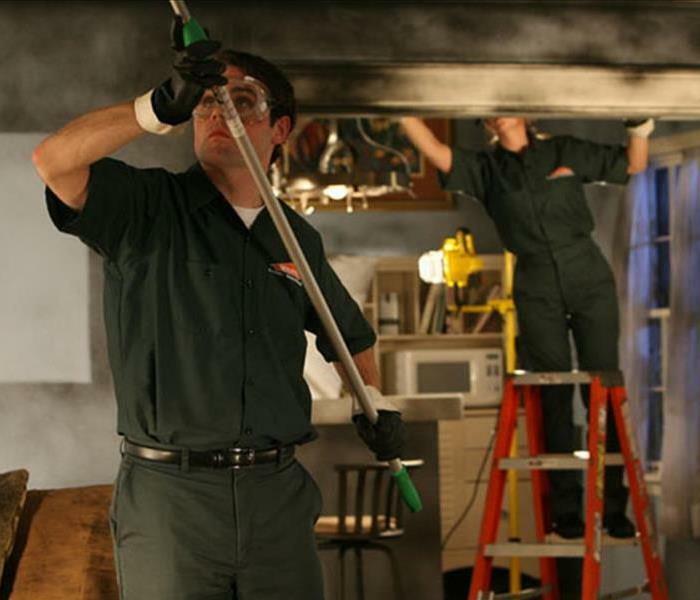 SERVPRO of Lawrence specializes in the cleanup and restoration of residential and commercial property after a fire, smoke or water damage event. Our staff is highly trained in property damage restoration. From initial and ongoing training at SERVPRO’s corporate training facility to regular IICRC-industry certification, rest assured our staff is equipped with the knowledge to restore your property. here are a number of reasons why your Andover or North Andover basement could flood. The bottom line: a flooded room can jeopardize your health, safety, and your home’s integrity. It’s worth making a call to SERVPRO of The Andovers and let our trained, professional crews handle the situation safely and correctly. We have earned the trust of hundreds of homeowners, business owners, and property professionals. Call us for assistance in cleaning your flooded basement at 978-475-1199. 2/1/2019 - Returning to "Before the Fire"